Who is Nathan Bear? What is the Jason Bond Millionaire Roadmap? Is Nathan Bears own service (Nathan Bear Picks) worth buying? In this article I discuss who this Nathan Bear trader guy really is and give a brief Nathan Bear Picks Review. This week, I came across Nathan Bear Millionaire Roadmap student extraordinaire! He was just awarded a Porsche by Jason Bond as a prize for reaching $1 Million in trading profits. Nathan Bear is the 2nd Millionaire Roadmap student to win a Porsche from Jason Bond (Kyle Dennis was the first one). Nathan Bear is the number 2 most profitable stock trader in the whole RagingBull trading network. He is definitely a trader worth listening to. Nathan Bear makes a lot of money from options trading. He learned his options trading strategy from his millionaire mentor, Jeff Bishop. 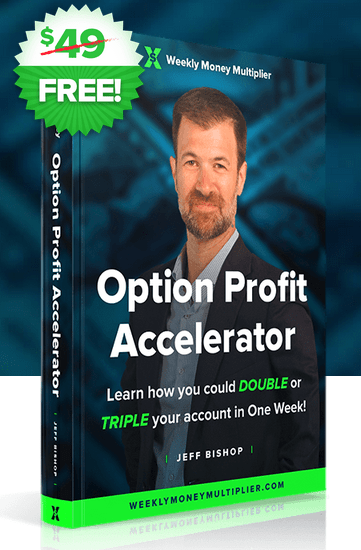 Download this FREE options trading eBook by Jeff Bishop that explains how he finds 100% winning options contracts on a weekly basis! 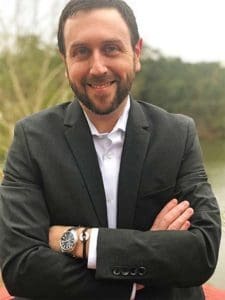 Nathan Bear has become well-known in the stock trading world for taking a $37k trading account and growing it to $1.21 Million by learning from the Jason Bond Millionaire Roadmap trading program. His story is one of trials, tribulations, winning, losing and eventual success. Nathan was a ten-year ‘overnight’ success story. Yup, he started trading stocks with just $1000, ten years before he made his first million dollars. He blew up his first TWO trading accounts, but he kept at it, determined to make trading his career. In 2015, Nathan lost $40,000 trading stocks. Ouch. Who Exactly is Nathan Bear? Nathan Bear is just 35 years old and he was born in Boston. Nathan was raised in Atlanta and these days Nathan has a wife and two kids. A few years ago Nathan Bear was living with 6 other people cramped into an 1100 square foot house! Now he has his dream home thanks to stock trading. Soon after losing the $40,000, Nathan managed to fund a trading account with $37,000. That is a great example of never giving up! In 2016, Nathan went on a 2 week vacation with his family. The crazy thing is that the internet connection was not reliable but he very carefully picked the best stocks that were recommended in the Millionaire Roadmap program. The stock patterns worked perfectly and he made $10,000 from those stocks while he was on vacation. This is the point, according to Nathan, that changed everything for him. At the end of 2016, Nathan had made $276,497 from stock trading! By the end of 2017 his account had grown to $584,474. By January 2018, Nathan Bear reached $1MM in stock trading profits!! Nathan has currently (as of 4/24/18) made $1,234,195 from trading stocks since he joined the Millionaire Roadmap! That is AMAZING! There is no hiding from the facts. Nathan was losing money trading stocks until he joined Jason Bonds stock trading educational service and learned from some of the best stock traders in the world. He completely attributes his success to the lessons he learned from Jason and others. This is so important – you don’t want to lose all your money if you can just learn how to trade from others who have been there before. I will be following Nathan and his journey going forward. I am hoping that he will start an educational service himself – in a similar way that Kyle Dennis (Jason Bonds first millionaire student) started the Biotech Nucleus program. 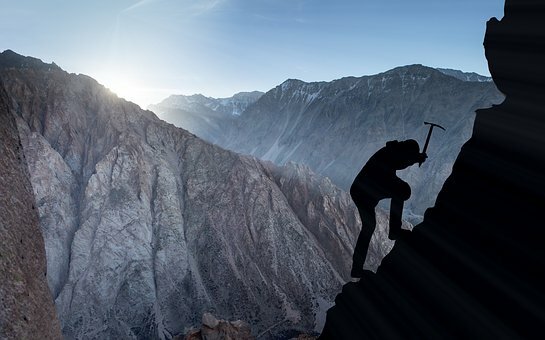 I think that these new(ish) traders that have had extraordinary results are a great resource to other traders that can try to emulate their successes. There is something very inspiring about a relatively normal guy that took a normal amount of money and had extraordinary success. Nathan and his wife are living the American dream – they purchased a dream house with his stock trading profits and his kids futures are now more secure than before he started this journey. 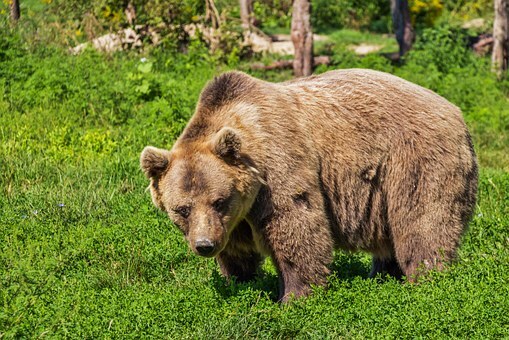 Nathan Bear Trading Strategy – what you need to know! 3 easy steps that he uses to make money! Nathan Bear only does ONE thing VERY well and that is his secret sauce! At the time of writing this, Nathan Bear has made $600,000 trading and it is only July! I want to give you an overview of the Nathan Bear 3 step TPS strategy. 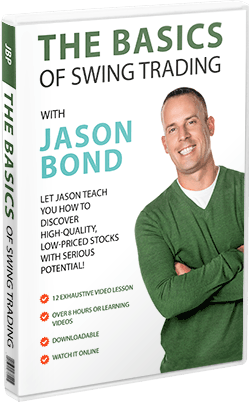 This is a simple strategy that even experts like Jason Bond copies! This tells you just how good the strategy is. Nathan claims to have a trading strategy that is simple and easy to mirror for others to follow him as he makes massive profits. I have not tried this strategy myself yet, but I have learned exactly how it works. Nathan will trade anything – any financial vehicle but he does have a knack for trading options on large caps – things like Tesla, Apple and the big banks! T – is there a trend? P – is there a pattern? S – is there a squeeze? If a stock has all of the TPS criteria, Nathan will trade it. This simple system eliminates 98% of the stocks that are just plain crap. Nathan needs all three criteria – nothing else will do! Remember that most stocks on most days are NOT tradeable! Trend – Nathan takes advantage of a continuing trend. He will never try to predict a counter-trend in a stock. Patterns – Nathan loves to trade patterns that have been trending up, then pulled back, then started to continue up again. Squeeze – The Squeeze is an indicator that shows when there is a compression of price range or volatility. Nathan uses this indicator to time his entry into an options contract. This is the most important thing with trading options – timing. The Squeeze indicator tells Nathan when the pullback part of the stocks pattern is almost over and that it is time to buy the options contract. 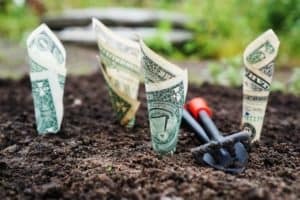 This strategy is AMAZING – so simple yet so consistent! It works for small accounts and large accounts. The strategy is easy to mirror because buying options contracts does not change the price of the stock. This means that he can alert a trade and it will not suffer from the massive move in price that you might see with other alert services. If you have never heard of the Squeeze indicator, here is a good article all about it. In 2018 Nathan launched Nathan Bear Picks but as of the time of writing it is only available if you are a member of Jason Bond Picks Millionaire Roadmap program. Nathan Bear Picks looks like it will be an amazing stock educational alerts service where he will teach the strategy that I outlined above. Nathan Bear Picks will probably be launched by the end of 2018 as an independent service and I will be purchasing a subscription for sure! Nathan Bear Picks – not THAT kind of Bear lol. Nathan Bear Picks issues regular watch lists and Email alerts on swing trades. Nathan Bear Picks gives you the tools you need to be a successful trader. You get a 45 minute lesson live from Nathan Bear every morning in the chatroom. He shows you exactly what he is buying and selling on a live stream so you can follow his trades and learn quickly. He also sends out watch lists and email alerts to keep you up to speed on what he is trading and why. I will write up a full Nathan Bear Picks Review when the service is launched as a stand-alone program. I am not that surprised that Nathan Bear has had such great success with the Millionaire Roadmap program. I have been subscribed to many of the Raging Bull stock trading services over the last few years (see my reviews) and they are very high quality programs. The most exclusive program that they offer is called the Millionaire Roadmap. It is a very personalized mentoring and mastermind program that is truly amazing. You get SO much value from the different experts that teach you how to trade stocks. You can learn more about this revolutionary program here. So many people have made a fortune by learning how to trade stocks from this program! Check out this article about another guy who is making great money in the Millionaire Roadmap. A Canadian woman called Petra Hess also made a lot of money while she was a student in the Millionaire Roadmap. Now she teaches her own stock trading setups! What Exactly Do You Get From The Jason Bond Millionaire Roadmap? The Millionaire Roadmap was born so that Jason Bond could stream his live trades to demonstrate his transparency and let his students just watch and learn from him. Honestly, you get SO much with Jason Bond Millionaire Roadmap program – it is ridiculous. The guys at Raging Bull are constantly increasing what they offer in this service. Here is what you can currently get if you purchase Millionaire Roadmap. 5 stock trading DVDs for FREE that are worth $5000 alone. Access to Jason Bonds screen sharing so you can see in real-time what he is trading! Day trading and swing trading alerts plus commentary and due diligence. Tons of exclusive educational webinars with millionaire trading experts. Daily video watch lists to prepare you for the days trading. Many people who subscribe to the Millionaire Roadmap are making $10,000+ a month trading stocks using the strategies that are taught in the program. If you don’t want to join any paid stock alerts service at the moment, this article shows you how you can receive free weekly stock alerts from Jason Bond! Pretty good right? The Jason Bond Millionaire Roadmap is an exclusive VIP stock trading education program that includes so much value it will literally make your head explode! It is expensive but it often goes on sale for an extremely fair price. 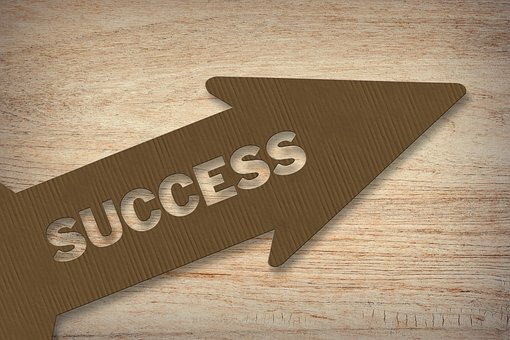 Nathan Bear Millionaire Roadmap Success Story! Jason Bond Millionaire Roadmap really works! I will be signing up for Nathan Bear Picks when it launches as an independent trading service! So keep a look out for my full Nathan Bear Picks Review! Nathan Bear trader. Nathan Bear millionaire trader! He can teach you how he has made his millions trading stocks. Does Nathan Bear have a platform in which one can subscribe? How about educational material from Nathan Bear?